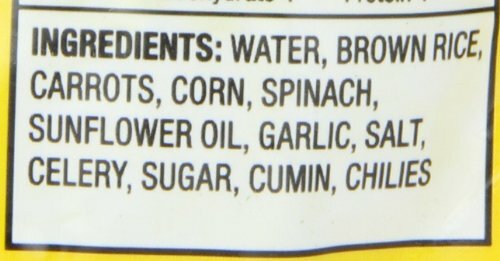 Organic Brown Rice lightly sautéed with roasted garlic, corn, and an assortment of garden vegetables. 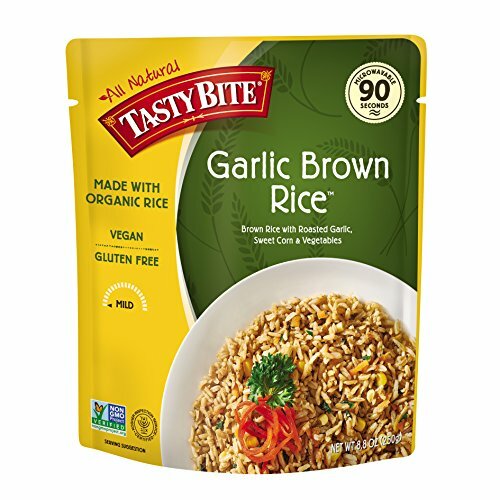 Serve as a side dish or pair with one of our Tasty Bite entrees for a complete meal.NUTTY WHOLE GRAIN: Tasty Bite’s Brown Rice Garlic is a great addition to any dish. Fully cooked & microwaveable, this nutty, garlicky brown rice is delicious w/ flavorful stir fries, in bright salads, or as a delicious, flavorful addition to soups & stews. 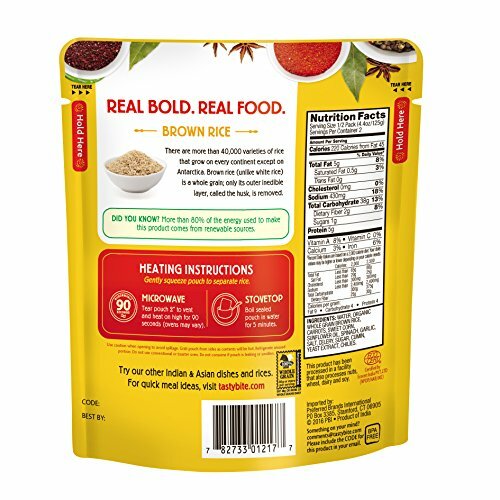 FULLY COOKED & READY TO EAT: Tasty Bite’s rice packets make dinner prep easy! They come fully cooked and microwaveable, so you’re just 90 seconds away from delicious, perfectly steamed rice at any time of day. Try with a sweet curry sauce or stir fry. 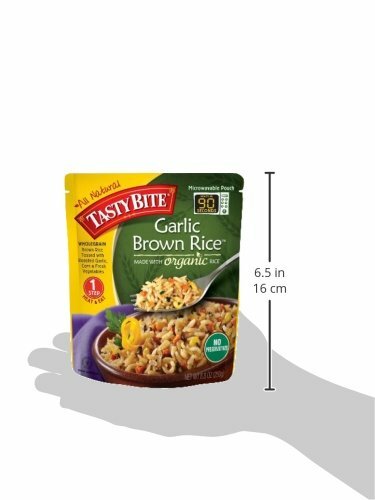 CONVENIENT AND QUICK: Just pop the Tasty Bite rice packet into your microwave for 90 seconds & you’ll have delicious, perfectly steamed rice ready at a moment’s notice if Uncle Joe stops in for an unexpected visit or Sally brings a friend home for dinner.